As a member myself of the Preventous organization, and a fairly knowledgeable one given my role as Chair of the Calgary Health Region for more than 7 years, and as a senior executive focused on the issues surrounding employee wellness, I feel well qualified to point out the advantages and the strengths that membership offers both individually and corporately. I take genuine pleasure in offering my comments on Preventous, largely because my personal experience has been as positive as I could hope for, and has established for me an intimate relationship with a team of health professionals who have my interests at heart and take whatever time is needed to deal with those interests. 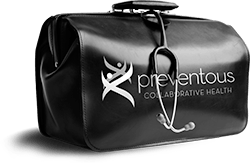 From a corporate perspective, and from a personal one, Preventous provides their services at an investment cost which seems to have an infinite yield – given that I have access to the highest quality health care on a 24/7 basis. Their focus on wellness, and not just the treatment of illness, is a strategy that pays long term dividends through the inevitable reduction in the need for disease treatment, the increased productivity of employees, and the probable reduced costs on company funded drug programs. For those that take advantage of the Preventous organization, education, nutrition counseling, and physical exercise guidance will combine to provide a higher quality of life in the work place and in the home. So why Preventous? I can answer for me by saying that I have tried alternatives, and Preventous is “as good as it gets”. As the Provincial Government works to reduce costs in public healthcare, access to services will become more and more difficult. We will continue to need public healthcare but we shouldn’t want it as our primary provider. We will always need hospitals, but speaking personally, I don’t want hospital care if I can avoid it. By providing the time to diagnose the problems rather than simply treating with the symptoms, we have the support to stay well as long as possible.